Halloween will be here before we know it, and I wanted to get ahead of the game and give you some DIY cat Halloween crafts for you all to make this season. 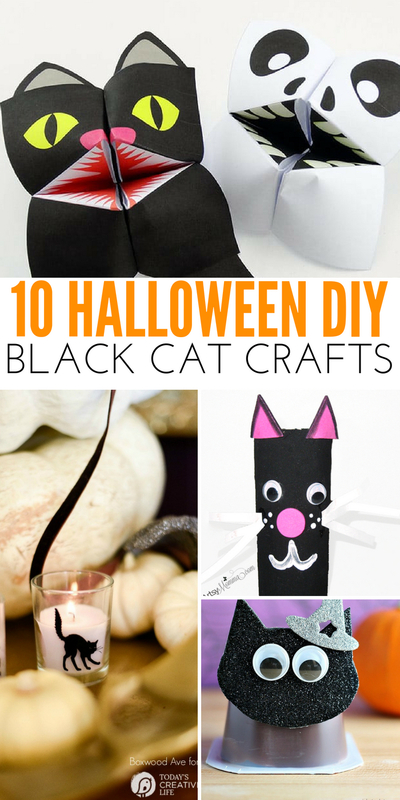 If you love black cats and Halloween, you are sure to love these crafts below. 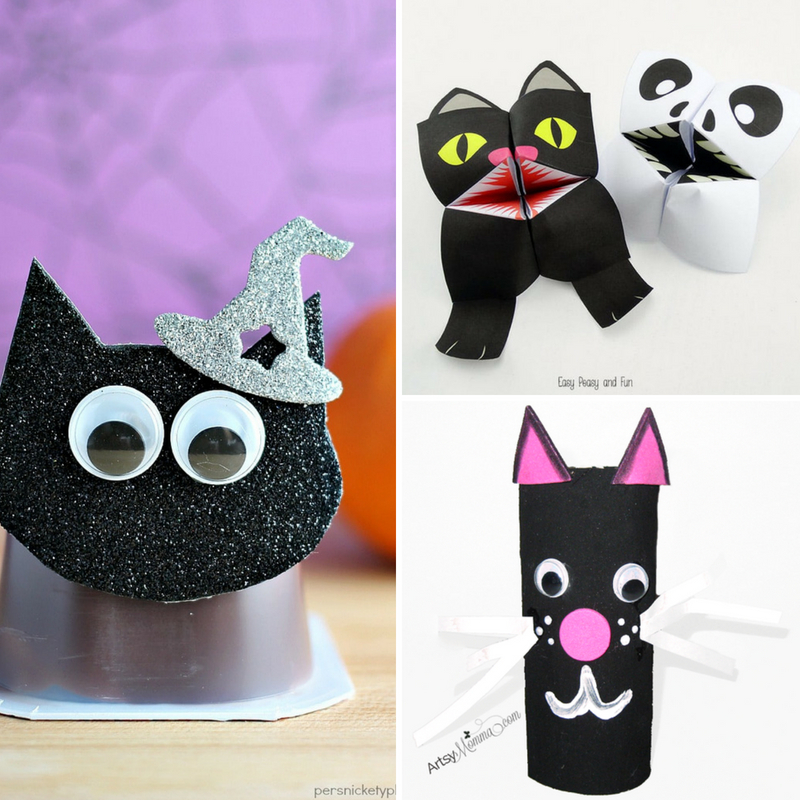 Nothing beats a relaxing craft session, and what is a better way to craft than with cute cat Halloween crafts. These black cats are fun and spooky for Halloween. Grab your supplies and get crafting with these cat Halloween crafts. I shared awhile back some adorable cat Halloween costumes you might want to dress your kitty up in, and it got me thinking. Why not share some fun crafts to do as well. Maybe you are crafting with your child and might give these to your neighbors or kids at school. It is a great way to pass the time in a fun way. Happy Halloween crafting! Black cat origami crafts are always fun. Here is a great tutorial to learn how to make a black cat, skeletons, and all other things that fit in with the Halloween season. Grab some paper plates for this craft and create your own black cats in a little while. Add whiskers, a button nose, eyes and you have an adorable cat! If you are a reader or know someone who is, these fun cat corner bookmarks are so fun. They are black cats, but you can always use any color of paper to change it up! These black cat snack pudding packs are a great gift for your kid to make and take to school to hand out to classmates or even trick or treaters as they greet your door. 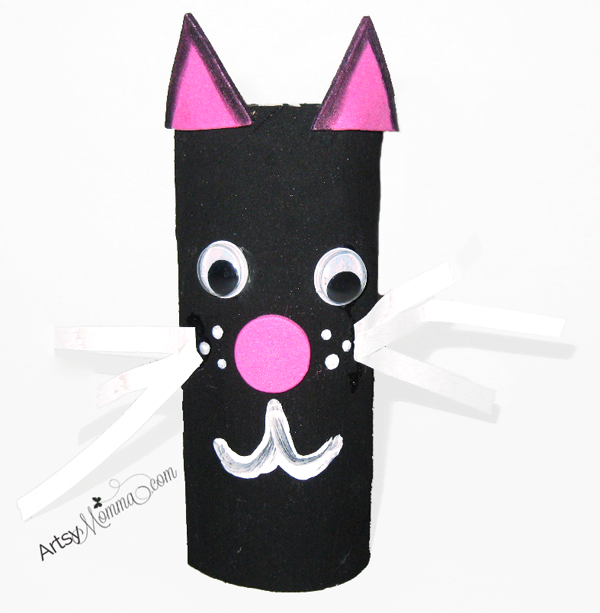 Check out this clothespin puppet craft, featuring a black cat. These would be a great craft to do on a rainy day, where you can use your imagination and play away. This spooky black cat could be a fun display piece for your home over the Halloween season! Pretty easy to make and extra spooky! 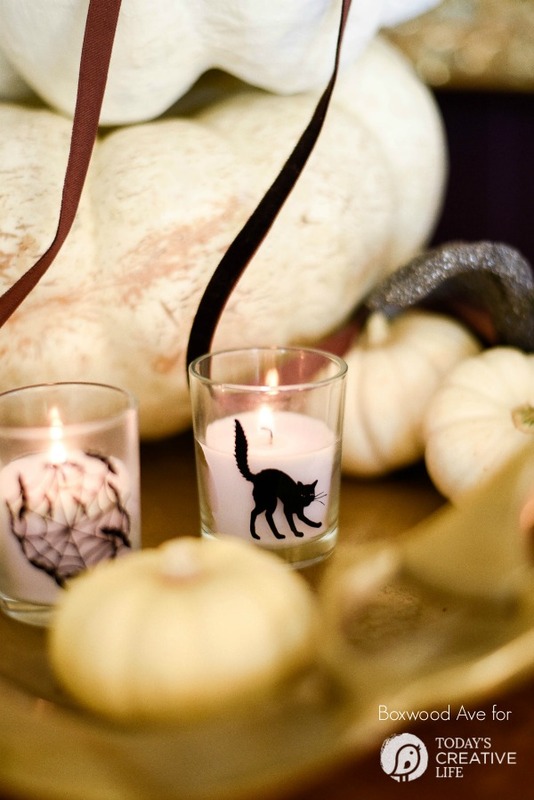 Dress up your home this Halloween with these DIY Halloween votives! I love the black cat votive, that is very fun and festive. 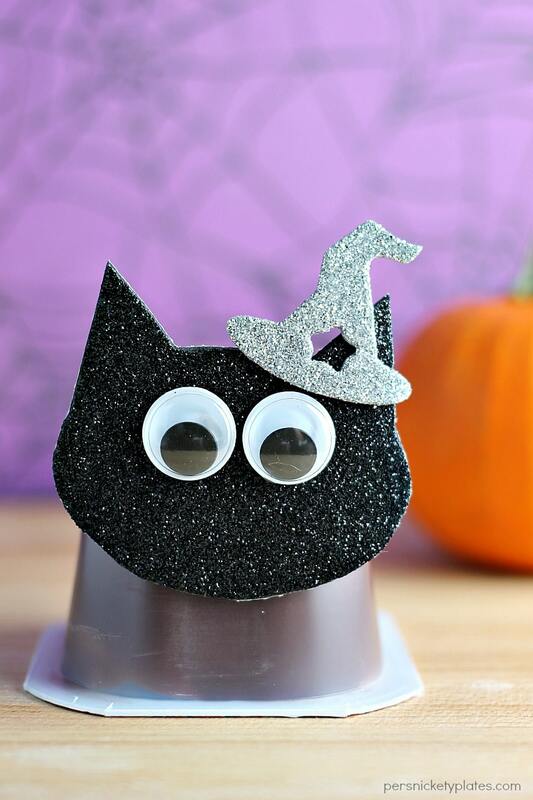 This paper bobble head black cat is a very easy and fun craft to do with kids. You can make a few of these and display on a mantle or even in your child’s room. Save your toilet paper rolls for this cute toilet paper roll cat. She shares a handful of animals you can make from a basic toilet paper roll! Pretty fun. Scaredy Cat Welcome Pumpkin is a cute one to hang on a door to welcome guest or to do to remember how small your child’s hands were when they were young.